Clark Seif Clark provides testing and consulting services to help safeguard families and workers from lead and other exposure risks. 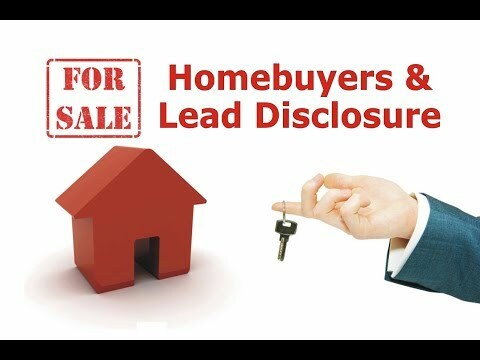 This type of disclosure for property buyers is critical since lead poisoning can cause permanent damage to the brain and many other organs. To protect families from exposure to lead from paint, dust and soil, the U.S. Congress passed the Residential Lead-Based Paint Hazard Reduction Act of 1992. Also known as Title X, it directed the Department of Housing and Urban Development (HUD) and the Environmental Protection Agency (EPA) to require the disclosure of known information on lead-based paint and lead-based paint hazards before the sale or lease of most housing built before 1978. That was the year when the federal government banned consumer uses of paints containing lead. Several years after the passage of Title X, HUD and EPA released a fact sheet detailing the new disclosure requirements in which the agencies reported, “Approximately three-quarters of the nation’s housing stock built before 1978 (approximately 64 million dwellings) contains some lead-based paint.” Due to these lead exposure hazards and the passage of Title X, homebuyers today have important rights when it comes to knowing whether lead is present in a residence they may purchase. To learn more about lead or other environmental, building science, occupational, indoor air quality (IAQ), health and safety services, please visit www.csceng.com, email csc@csceng.com or call (800) 807-1118.